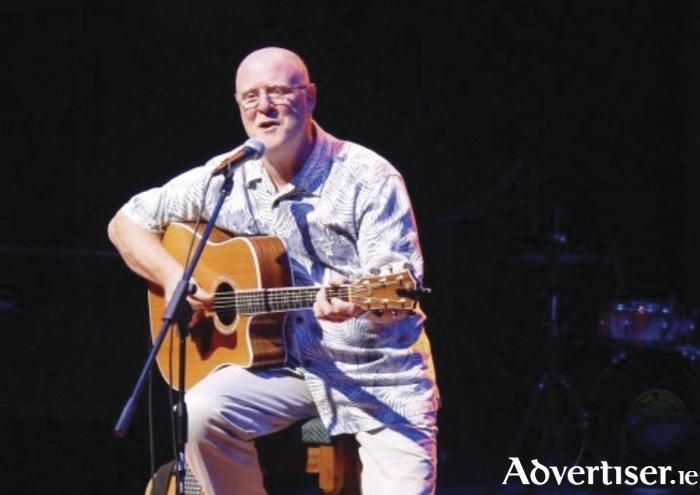 FOR THE first time in 23 years, Mick Hanly, one of Ireland's greatest songwriters, plays An Spideál, with a show at the new upstairs venue os Tígh Giblin's on Thursday August 20 at 9pm. "I've been around the clock more times than most and have tried on a variety of hats in search of my own voice," said Mick, "and I'm really looking forward to singing and playing in Spiddal after such a long time". Starting his career on the folk circuit in the seventies, Mick made the albums, A Kiss in the Morning Early and As I Went Over Blackwater, before turning to songwriting and fronting Moving Hearts for a spell in the early eighties, afterwards forming the band, Rusty Old Halo. By this time Mick was an established songwriter, with his work being covered by Mary Black, Dolores Keane, Christy Moore, and Delbert McClinton. In 1992 he had a major hit in the US with his song, 'Past the Point of Rescue', recorded by Hal Ketchum. He picked up three BMI Awards, most recently for passing the 'Two Million Radio Plays' mark. He has also received two Hot Press and two National Entertainment awards. He is currently recording a new album, Homeland, for release in Jan 2016. Admission is €15. For more information call 087 - 1525040.